Guests rave about Sunny Isle’s Acqualina, a child-friendly alternative to the South Beach scene. 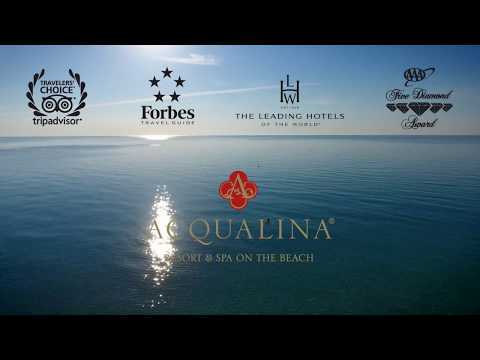 Reminiscent of a Mediterranean villa with its leisure-focused lifestyle and grand design, Acqualina Resort is the only hotel of its kind in Florida that is completely open to the ocean - free of barriers between the 51-story tower and 400 feet of glistening Atlantic shoreline. The resort features three restaurants, including Il Mulino New York; three oceanfront swimming pools; an award-winning, two-story ESPA Spa with Himalayan salt walls, relaxation lounges, crystal steam rooms, Finnish saunas, and experience showers; and a marine biology–inspired children’s program. The newly unveiled AcquaExperiences is a collection of highly curated lifestyle offerings available at the resort and around Miami with options for families, couples, and solo travelers.